We are so grateful for the many Chopin fans that came out to support Brian during his February 2 concert! Join us next year as Brian completes his quest to perform the works of Chopin. Keep an eye out for upcoming concerts by signing up for his newsletter at http://www.brianganz.net/subscribe-to-newsletter/. Brian is featured in the January 31 issue of The Washington Post’s Express: Weekend Edition. He needn’t have worried. 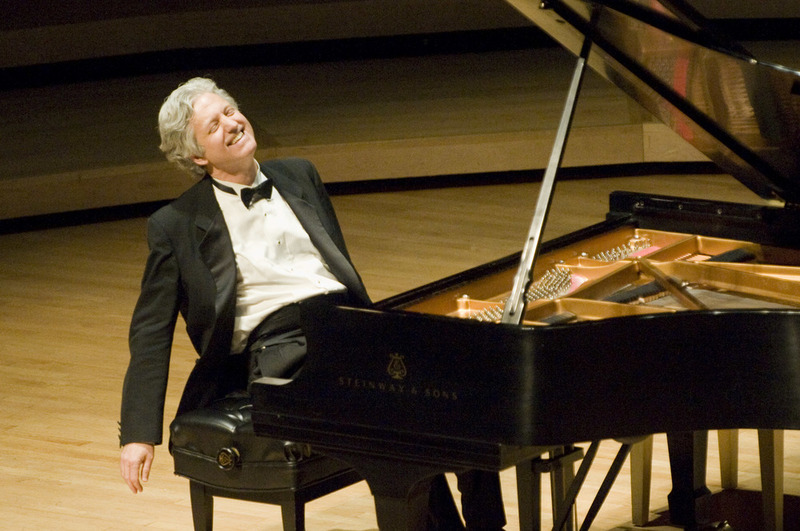 “Extreme Chopin” has been a huge hit since its very first, sell-out installment, in 2011. Gajewski credits Ganz’s sensitive playing and natural storytelling ability. This week, Brian was featured in The Washington Informer for his incredible Chopin performance last week at Strathmore. Click on the photo above to see Brian’s interview with Montgomery Community Media in preparation for his February 2 Chopin concert at the Music Center at Strathmore. 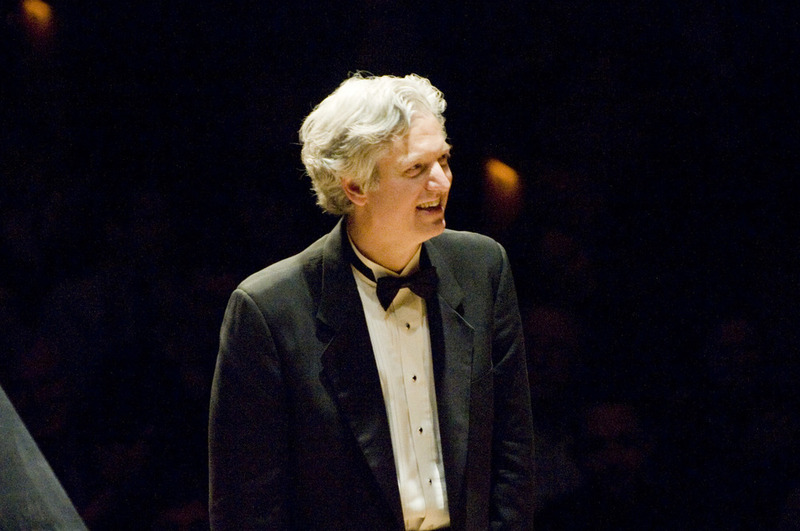 "It was outstanding hearing both Polonaises performed from a pianist as exceptional as Brian Ganz. His fingers fluttered across the keyboard like a bird being freed from a cage." Below are beautiful new images from Brian’s February 2 concert at the Music Center at Strathmore, taken by Jay Mallin. Brian is featured in the November issue of What’s Up Annapolis’s Undercover Stars Among Us. 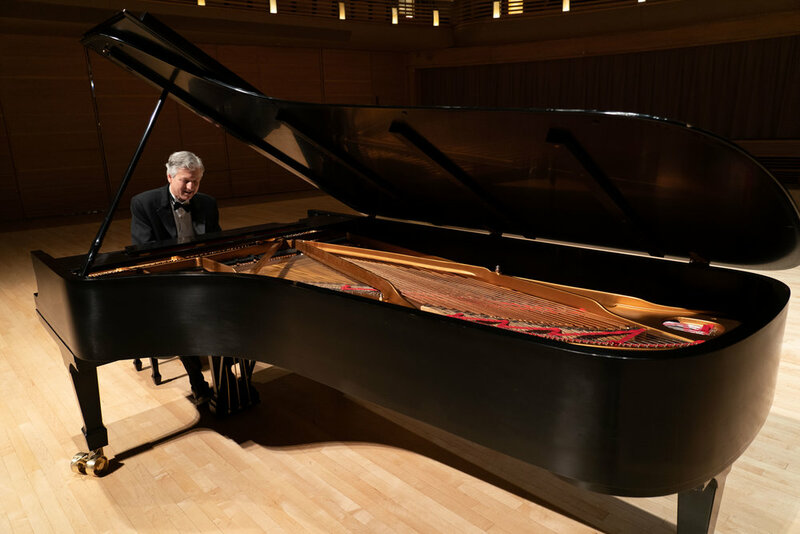 Brian continued his unprecedented journey through the complete works of Frédéric Chopin as part of “National Philharmonic: Brian Ganz Plays Chopin's Hidden Gems & All-Time Favorites” at The Music Center at Strathmore in February 2018. See photos from last year’s meet and greet below. 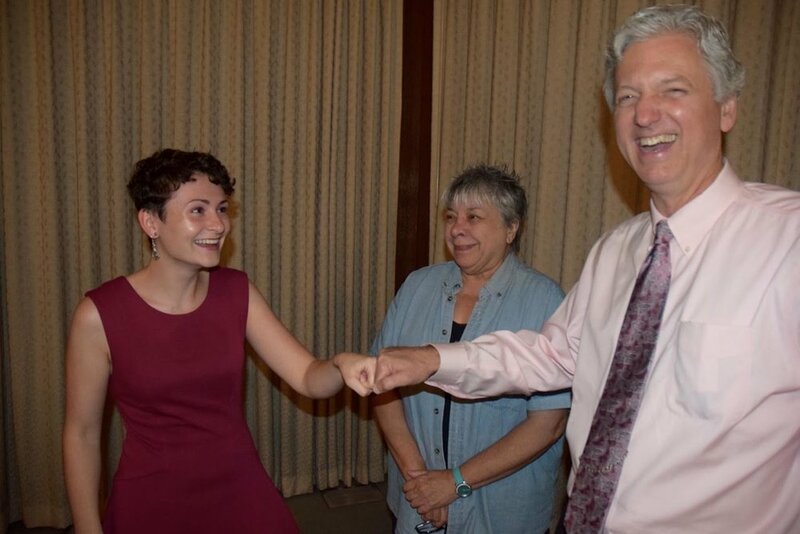 Brian Ganz greets Solia Martinez. Brian Ganz meets with Rose Ligsay and friend. Brian Ganz meets with Jamie Pasho. Brian Ganz, far left, addresses former student Jamie Pasho, far right, and guest. A selection of high-resolution photos are available for download below (simply click on the photo, another window will open, and then drag the image to your desktop). Photo credits are embedded in the filenames. For additional images or any press-related requests, please contact Marc Apter. Brian celebrated Poland's 100th anniversary in June 2018 at the Music Center at Strathmore. The second half of Chopin's "Piano Concerto No. 2," which Brian performed at the concert, gave audiences a glimpse into the beloved Polish dance style, the mazurka. Chopin remains one of the most influential Polish composers. 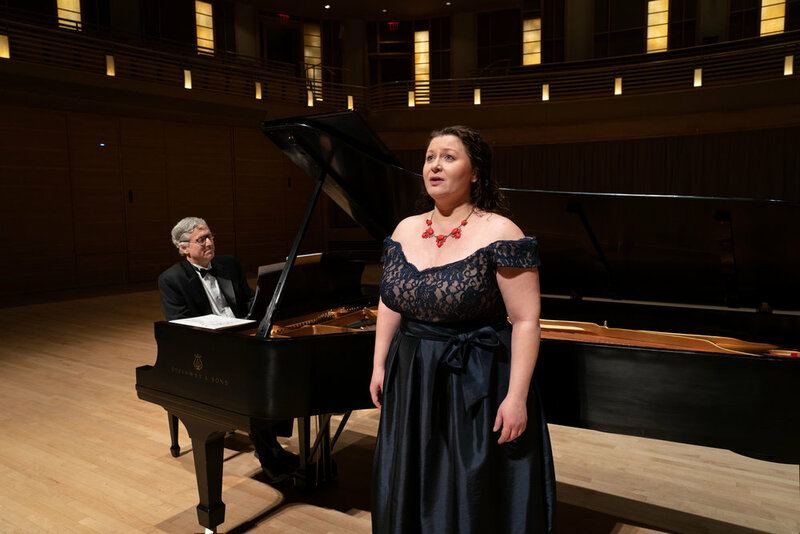 Join us for more Polish classics during the June 2 concert at the Music Center at Strathmore, which celebrates Poland's 100th year of independence. Brian will perform Chopin's "Piano Concerto No. 2" at the concert. For ticket information, visit Strathmore’s events page. Brian Ganz plays Chopin's Nocturne in Bb min Op9 No 1 on a Steinway D fully rebuilt by PianoCraft. Recorded at PianoCraft's Rothenberg Hall. Audio and video by Dhanesh Mahtani. Brian Ganz plays Chopin's Etude in C Op10 No7 on a Steinway D, fully rebuilt by PianoCraft. Recorded at PianoCraft's Rothenberg Hall. Audio and video by Dhanesh Mahtani. Brian Ganz plays Chopin's Etude in E op 10 #3 on a Steinway D, fully rebuilt by PianoCraft. Recorded at PianoCraft's Rothenberg Hall. Audio and Video by Dhanesh Mahtani. See Brian Ganz preview his Feb. 18 Strathmore "Extreme Chopin" concert with Chopin's Revolutionary Etude, one of his most famous compositions. Buy tickets to the recital at www.nationalphilharmonic.org. Brian Ganz explains the concept of 'musical gardening' by illustrating details of Chopin's personal life through his Mazurkas and other compositions. Brian Ganz plays Chopin's Revolutionary Etude in C minor Op 10 #12 on a Steinway D, fully rebuilt by PianoCraft. Recorded at PianoCraft's Rothenberg Hall. Audio and Video by Dhanesh Mahtani. Pianist Brian Ganz performs songs by Chopin at the Kosciuszko Foundation in Washington D.C. with vocalist Dariusz Ocetek. Ganz is on a quest to perform all of Chopin's works. Pianist Brian Ganz plays Chopin's Nocturne in B-flat Minor, Op. 9, No. 1, at the 2016 Washington International Piano Festival hosted by Catholic University. Shot by Jay Mallin on July 27, 2016. FOR MORE video, PLEASE VISIT BRIAN'S Youtube Channel.